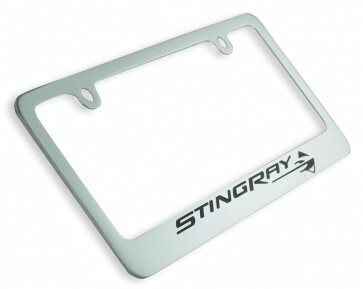 Corvette Stingray Logo License Plate. Highly polished license rust-proof license plate frame! Heavy-cast solid brass chromed license frame is computer engraved. The logo and lettering are hand filled with UV stable epoxy enamel for the ultimate image accessory. Screws Included.